Namibia is, undoubtedly, one of the most diverse and breathtakingly beautiful countries on earth, and while many international visitors choose to uncover Namibia on a self-drive tour or a small group escorted tour, we are taking it one step further with a 9-Day, 800km cycling adventure! Sparsely populated (just 3 people per sq. 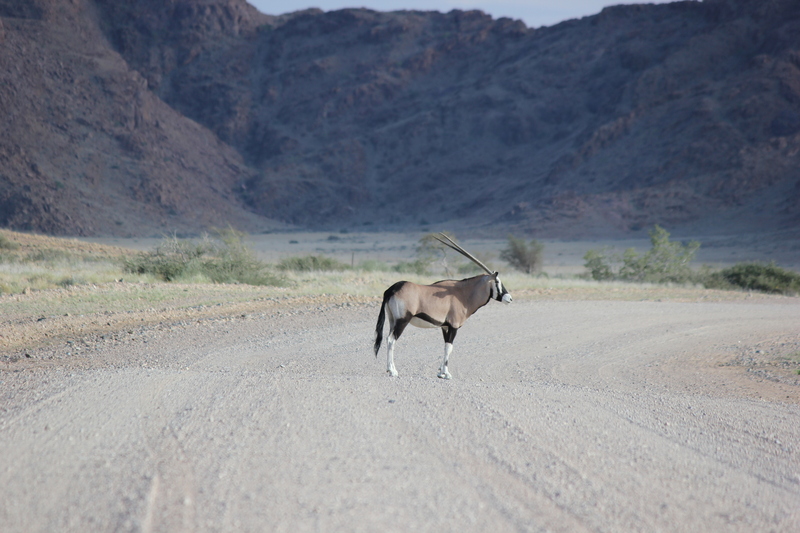 km of land area), and still unspoilt by tourism, Namibia is the perfect place to cycle as the only traffic you are likely to encounter is that of the four-legged variety such as Oryx and Giraffe. Upon arrival at Windhoek Airport, your guide will be waiting to transfer you to your lodge in the city. After a few hours to relax, a team briefing and FAQ session will take place in the lodge, before we head off for a meal together at one of Windhoek’s most famous restaurants. After breakfast today, we will gear up and cycle out and back along the C23 road for approximately 100kms to check our bikes and get a feel for Namibia’s roads. We will then load everything up onto our bus, enjoy lunch, and drive approximately 250kms south to Mariental, where we will overnight. Today we will cycle approximately 100km inland to the settlement of Aranos on the edge of the Kalahari Desert. After breaking for lunch, we will take a trip into the red dunes, before cycling back to Mariental for the night. After an early breakfast, we will load up our vehicles and drive 230km south to Keetmanshoop, where we will jump on our bikes and cycle across Fish River Canyon, the second largest Canyon in the world. Today’s 100km cycle tour will provide us with lots of photo opportunities – so don’t forget your camera! We will then continue to Aus, where we will enjoy a late lunch and overnight. Today, we will have the unique opportunity to cycle 130km across the world’s oldest desert – the Namib, before arriving at Luderitz in time for lunch. The rest of the afternoon is at leisure to enjoy this coastal town. After breakfast today, we will visit Kolmanskop Ghost Town, which was made famous for its diamond rush in the early 1900s, before getting back on our bikes for a 120km ride inland, back to Aus where we will overnight. 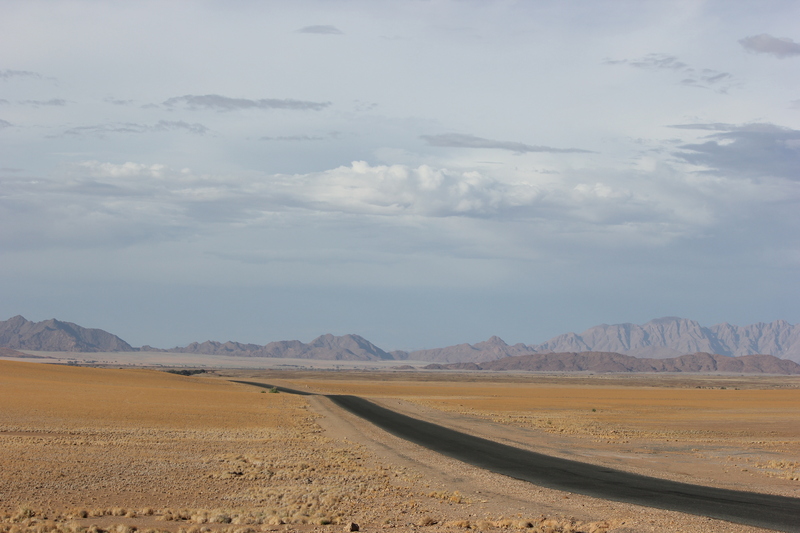 Today we will enjoy a particularly scenic 110km ride from Aus to Keetmanshoop via Goageb. We will lunch and overnight in Keetmanshoop, a small town on the Trans-Namib railway route. We will continue east on the C16 today, and cycle up to 150kms along the edge of the Kalahari to Mariental, where we enjoy a traditional Namibian Braai (BBQ) and celebrate our magnificent adventure. After a final breakfast together, we will transfer to Windhoek Airport for our return flight home, or join the optional 3-Day safari in Etosha National Park. Previous Post Trip of a Lifetime – What’s Yours?